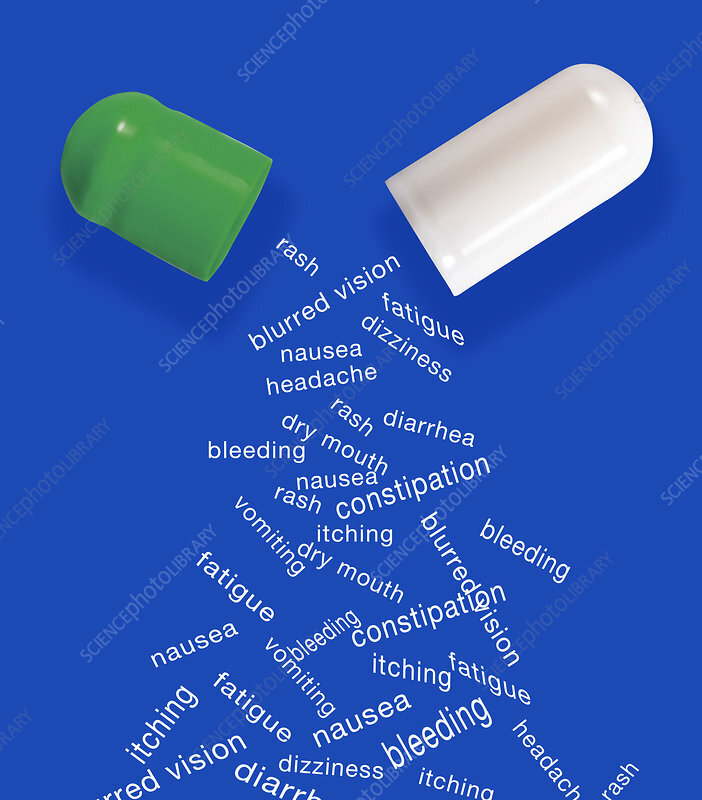 Conceptual image depicting side effects of medications. All drugs come with side effects, whether prescription or over the counter. Often the list is long, and many are minor, but some are more serious.